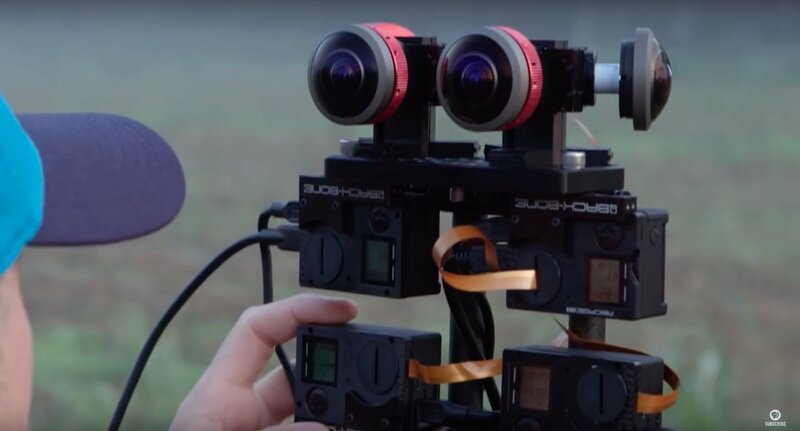 It offers a glimpse at the future of VR filmmaking. A story about two estranged brothers facing off on a Civil War battlefield might seem like a strange fit for a virtual reality film, but My Brother's Keeper isn't your typical VR movie. The PBS film, which premiered at Sundance last week, uses its period setting to show off several new filmmaking techniques, including the first 120 fps slow-motion recording in VR and the use of a customized action camera rig. But most important, it uses all of that technical wizardry to craft a genuinely moving story. My Brother's Keeper is set around the battle of Antietam, which is notorious for being the deadliest single-day fight in American history. Amid the conflict -- which involves over 150 Civil War reenactors -- the two brothers find themselves on opposite sides of the struggle. At a short running time of nine minutes, we only get glimpses at their lives, but they're enough to make an emotional impact. 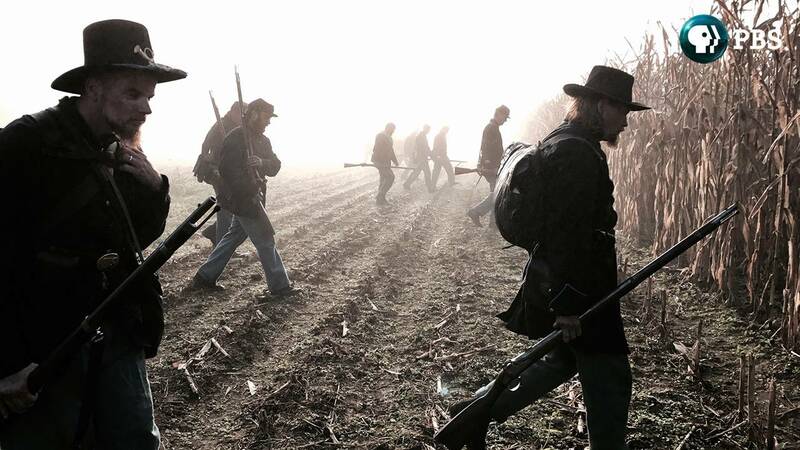 The film, which was written and directed by Connor Hair and Alex Meader and produced by StoryTech Immersive and Perception Squared together with the Technicolor Experience Center, is also partially inspired by the PBS Civil War series Mercy Street. "We are witnessing the birth of a new medium, so there is a lot for us to learn and invent at every point in the process; from pre-production, production, post-production and distribution, there is a lot of innovation happening," PBS producer Don Wilcox said in an email to Engadget. "Hardware continues to improve, capabilities expand, and shooting and editing techniques continue to mature. One thing that will help us over time is the development of standard formats -- today just about every platform has its own requirements, which creates extra work and inconsistency in what viewers ultimately see, depending on their device." There's no shortage of ways to view My Brother's Keeper. It's available on just about every VR video platform, including YouTube, Facebook, VivePort (for HTC's Vive), Oculus Rift and Samsung Video for the Gear VR. You can also view it in standard 2D 360-degree video on YouTube and Facebook, but those options only match a fraction of the experience. With a VR headset, you get a full stereoscopic 3D view of the film, which offers much more depth and clarity than the flat version. Based on the VR films I've seen so far -- which include Obama's ode to Yosemite and his farewell tour of the White House -- there's little reason to watch one that isn't rendered in 3D. The whole point of strapping on a VR headset is to achieve a sense of "presence," the idea that you're transported somewhere else and watching it in person. That's a tough sensation to convey when you're just watching a 2D video wrapped around your eyes. In My Brother's Keeper, the 3D filming was particularly striking in its long shots of wheat fields and battle scenes, as well as close-ups of the lead actors. I wasn't as big a fan of the film's use of 180-degree framing, which basically just blurs a large portion of the image to focus on what's in front of you. It feels a bit like the shallow-focus trend we're seeing in TV shows and films today (like how the show Louie is shot), but it's needlessly limiting in VR. I actually thought something was wrong with the Daydream headset I was wearing the first time I saw the blurry effect. And as Wilcox tells us, there are still plenty of challenges for shooting in VR: "There is no 'fourth wall' since the camera can see in all directions," he noted. "This creates challenges for the crew, who need to get out of the shot. This required us to hide behind trees, haystacks and cornfields to stay out of sight." Actors also have to be more mindful of their own performances, since they can't be closely monitored by the director. Wilcox describes VR postproduction as "significantly" more complex than traditional films. "Camera rigs must be painted out, visual effects have to be rendered multiple times to fill the surround format and stitching together the different camera views takes skill and precision," he said. In My Brother's Keeper, we can see glimpses of where VR filmmaking is headed. As a medium, VR is still very much in an early stage, and there are bound to be issues as artists explore new technology and techniques. But that just makes the successful attempts that much more exciting.